Jennifer Aniston soon to be not in speaking terms with her former co-actresses Courteney Cox and Lisa Kudrow!! It can be awfully disappointing to find out that co-stars who once used to play a dream trio on-screen together aren’t actually getting along in real life, these days. Especially, when the desired relationship is in the title of the show, like Friends! But it is happening or at least according to some tabloids. 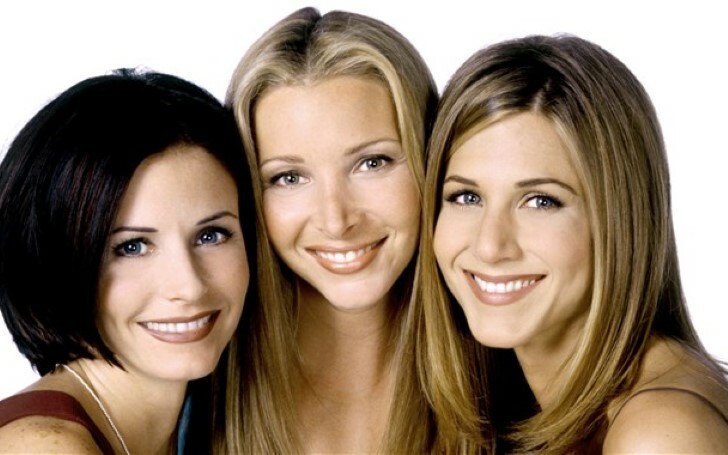 While Rachel, Monica, and Pheobe have all had their rough patches with each other at some point during friends, but off the stage, the bond between the real life behind the characters always seemed practically flawless. But it looks like that foundation is finally taking a toll. So what's the fuss that’s been going around? Aniston has been a frequent prey of the tabloids these days. Be it either her rumors of getting a botox or that she is desperate to have a boyfriend before turning 50, theories are just piling around her one after the other. And this time it has followed her all the way into her friendship. Apparently, Jennifer Aniston is upset as her Friends co-stars Lisa Kudrow and Courteney Cox is supposedly making a TV show without her. According to Australia read who recently came with the headline “Jen Betrayed By Her Old Friends!” said Cox and Kudrow have a secret TV project in the works. As per the reports, Courteney Cox who played the mother-hen character, Monica in friends is up for creating yet another show after her last one, Cougar Town. And this time the 54-year-old actress is rather looking to partner up with her former co-star, Lisa Kudrow. What’s so stinging about this? Well, for the fans, her first choice should have always been Jennifer Aniston, given how they both once used to portray a devoted duo of Rachel and Monica. But quite surprisingly, Cox hasn’t asked her to come on board and that is why Jenn seems “devastated”. "They (Cox and Kudrow) have been wanting to work together again in some capacity after the ‘Friends’ reunion fell apart,” but Aniston “was always busy with her theatrical projects, so Courteney didn’t even bother asking her to join them in this." However, none of this is true according to Gossip Cop which checked in with multiple sources close to the situation where none came forward in claiming of Cox and Kudrow teaming up on a new TV series. This story was purportedly written because the former “Friends” co-stars appeared together on “The Ellen DeGeneres Show” last month. Recommended: Kylie Jenner Spotted Wearing a Giant Engagement Ring at the Super Bowl; Is She Engaged To Travis Scott? Evidently, Cox appeared on the veteran comedy talk show for promoting her new Facebook Watch docuseries about pregnancy, “9 Months with Courteney Cox". And this was where Kudrow came in to drop by for a surprise visit in the same episode. Given that, if the two actresses really had a show in the works, they likely would have announced it during their “Ellen” appearance, but they didn’t make any notion of developing a series together. In addition, not a single Hollywood trade publication has even teased of Cox and Kudrow teaming up on a project. Simply put, Aniston isn’t upset about being left out of any hypothetical TV series. This isn’t the first time Woman’s Day Australia came up with such an outlet. In fact, they had also been previously busted by the same (gossip cop) when last year they falsely claimed about Aniston's pregnancy with her ex, Brad Pitt. A few months ago, the magazine was also called for making up a story about Aniston developing a romance with Leonardo DiCaprio. But it wasn’t something that would have happened just out of blue even in someone’s wildest dream let alone giving it the headlines for the people to read. On the contrary, that only showed just how credible the tabloid was when it came to reporting about the actress. The unreliable journal has already proven to have no insight into Aniston's otherwise promiscuous love life, and it appears the publication doesn’t know much about her friendships, either.